Australia’s suicidal renewable energy policies have all but destroyed what was once an energy superpower. Rocketing power prices and a grid on the brink of collapse are the consequence of an obsessive desire to run an entire country on sunshine and breezes. Lunacy doesn’t cover it. How we got there and what it means to businesses and households is no mystery to Ian Plimer. 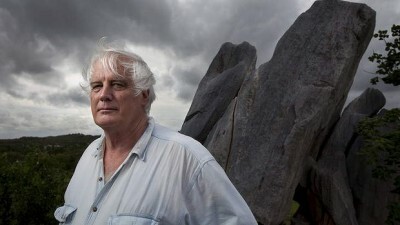 Ian Plimer is an Australian geologist, professor emeritus of earth sciences at the University of Melbourne, professor of mining geology at the University of Adelaide, and the director of multiple mineral exploration and mining companies. He has published numerous scientific papers, 7 books and is one of the co-editors of Encyclopedia of Geology. 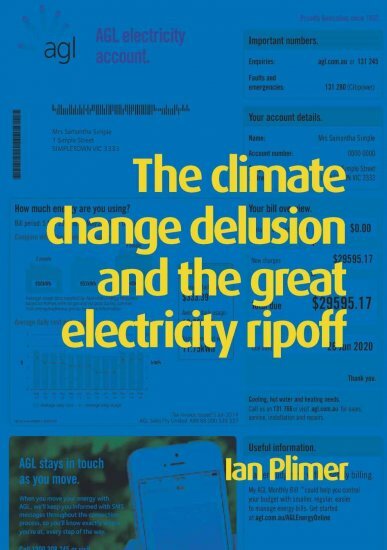 Ian’s latest work, ‘The Climate Change Delusion and The Great Electricity Ripoff’ was released in October and is available from Connorcourt Publishing by clicking here. Benny: Good to see you, Ian. You’re back in London. Ian: Thank you for having me. Benny: It has been a while. Last time I saw you I think two or three years ago. In the meantime, you’ve written a new book, Climate Change Delusion and the Great Electricity Ripoff. Can you tell us a little about this new book? Ian: Well, it’s written from an Australian angle. How on earth did we get into the situation we are in? We are the biggest exporter of coal in the world. We are the third biggest exporter of liquified natural gas. We’re the second biggest exporter of uranium in yellowcake. Yet, we have an energy shortage. We have energy unreliability, and in the state I live in, South Australia, we have the highest electricity costs in the world. So how on earth did this happen? Australia is very well blessed with resources. We have huge coal basins. We have a massive amount of gas, oil, uranium, thorium, and yet, we have fuel poverty. We have pensioners who can’t pay their bills. We have people who are struggling to pay their electricity. How did such a wealthy, energy rich country get like this, and that’s what the book is about. Benny: Right. How did this mess start? Ian: It started because formerly in Australia, each state had its own electricity generation and its own network, and there was no connection with the other states, and they would compete by creating cheap electricity to attract business, and that competition was intense. Then in their infinite wisdom, the federal government decided it was going to have control through a national electricity market of electricity in Southeastern Australia, and so we set up interconnectors between the states. What happened? The electricity price went up, and as soon as we started to put in renewable energy, which I call ruinable energy in the book, the prices went up even more. So here we have a wealthy country with huge amounts of energy, suddenly has priced itself out of the international market. Now, for me, my wife and I rattle around in a house. We close off most of the house in wintertime. Our electricity bill in South Australia for the September quarter 2017 was $3,133. How can the average worker pay for that? How can pensioners keep themselves warm? So we have very quickly gone into a situation of being absolutely and totally uncompetitive. Businesses are closing down. They’re moving to other jurisdictions. They’re moving to Donald Trump’s US, simply because the energy is cheaper. So we have kicked the most wonderful own goal in Australia. Benny: Before I come to the political and economic consequences of these policies, the book is about the problem of energy and climate policies, but also about decarbonization. So there’s a link between decarbonization and the cost of energy, and the consequences of high energy. How did that happen in Australia? Ian: Well, I’ve posed the question a couple of times, can you please show me that human emissions of carbon dioxide drive global warming, because the whole of the energy policy is based on emissions, and no one has yet shown that human emissions of carbon dioxide drive global warming, and if they did, they’d also have to show that the natural emissions, and that’s 97% of the total, don’t drive global warming. When I look back in time through my geological eyes, I look at times in the past when we had very high carbon dioxide contents of the atmosphere, up to hundreds of times higher than now, and we see that we didn’t have runaway global warming. Of course, we had climate change. That’s quite natural. It happens all the time. But what we did have is six major ice ages, and there’s no correlation over geological time between carbon dioxide in the atmosphere and temperature. In fact, it is the past that shows us that carbon dioxide does not drive global warming. I argue in this book that we have a fundamental fallacy, and that’s emissions, that emissions do not drive global warming, and from that, we then developed these slice and dice wind turbines that are massively disfiguring to the countryside, that they create massive amounts of pollution. The amount of energy to make them is more than they’ll ever create. The amount of carbon dioxide emitting them is more than they’ll ever save. These things have a short life, and wind turbines don’t run on wind. They run on subsidies, and I do the same with solar, show exactly the same with solar, that it’s a net deficit. So why are we doing it, especially in an energy rich country? In South Australia now, where 48% of our electricity comes from wind, we now have blackouts, and in my own house, I’ve had to buy a generator, a 7.5 KVA generator to keep the house running. Now this is crazy in today’s world, to have an energy rich country, where individuals have to buy a generator. So the whole policy of emissions has been flawed, and from that, we’ve lost what is really important, and that is commonsense. Australians are well-known for their commonsense and their bluntness, and we seem to have fallen for this modern puritanical religion of global warming, dire emissions, and we’ve missed the basics, that we are pricing ourselves out of the market by following an emissions thinking in our policy. Benny: But this is very similar in Europe. All the mainstream parties in Australia seem to be singing from the same hymn sheet, so they’re all arguing let’s build some more wind farms. No, we can build some more solar panels and solar farms. So the whole debate seems to be about these green gimmicks. So what happened to commonsense? How did it happen that the environment changed that much? Ian: Everyone wants to claim they’re green. All political parties want to care for the environment, and so they all claim that they’re doing something for the environment, and there has been a period of collective madness. It’s a bit like the South Sea bubble, or the Dutch tulip mania, and we have gone into that mania showing that we all care for the environment, and, of course, reducing emissions and having wind generation and solar generation is the way to go. Now, they’re not, because they’re unreliable. The amount of energy used to make them is more than they’ll ever produce, and the third thing is they are massively polluting. But we have an electorate that is very wealthy, and they suffer from a little bit of Christian guilt, and they feel they should have indulgences for their comfortable life, and people are quite happy to pay a little bit for their indulgences. But now the price of electricity has gone through the roof. People are reassessing that. We have a few minority conservative parties that have a different view. But the major parties in Australia are paying their indulgences. Benny: And they’re not being punished by the angry public that thinks that enough is enough? Ian: They will be punished very severely, because the electricity price has gone through the roof, and they will be punished severely because we’ve had coal fired power stations that have been dynamited and flattened, and because all our power for an industrial society is going to come from sea breezes and sunbeams, and it doesn’t. And as soon as it doesn’t, then we’ve had mad schemes, where we had this chap who sounds like a deodorant who has sold South Australia batteries, and these batteries are fabulous. We’ll fill them up with power from wind generation, and when the power goes off, they will keep the 1.7 million people in South Australia alive for four minutes, and that’s it. Now, that’s absolute madness, four minutes. But, suddenly, we’ve got a problem. So, we’re putting diesel generations, a hundred million dollars worth of diesel generators to keep the grid going, and we won’t tell people these diesel generators actually emit carbon dioxide. So the whole thing started from reducing carbon dioxide emissions. It ends up as having more emissions and more unreliable power, which is horrendously expense. This is just total madness. This is the Dutch tulip mania. It will end in tears. Benny: And even the goal of decarbonization seems to be counteracted by the very fact that you have to build more conventional power plants to backup renewables. Ian: Why remove the gas of life, and without carbon dioxide, you have no life on earth. If we halve the amount of carbon dioxide in the atmosphere, we will probably have no plants, and the whole animal kingdom would collapse. We can live in a very high carbon dioxide rich atmosphere. Life has in the past. Every time in the geological past we’ve had a carbon dioxide rich atmosphere, we have had a massive expansion of ecosystems. Evolution has been driven very hard by this. We love carbon dioxide. We live on a carbon dioxide rich planet. We could not survive without it. So why should we be removing plant food from the atmosphere, when it hasn’t been shown that it drives global warming? Benny: But it would appear that among politicians and ministers around the world, perhaps with the exception of the US, the fear of climate disaster, the fear of catastrophe is still very alive, and you wonder why it is still driving policies, and how this fear of the apocalypse, how this evolved to the extent that hardly anyone is willing to think outside the box? Ian: Well, the politicians fear the catastrophe is that they might be voted out of power. At present, they think that the population has got green tinges. But once the hip pocket gets hit hard, they will change. They will change very, very quickly. We humans are attracted to catastrophes. We have had for thousands of years people predicting the end of the world. If just one of them was right, we wouldn’t be here, and it’s the only field where you can be sure that you’re a hundred percent wrong to be a futurist predicting the end of the world. But predicting a catastrophe, the newspapers love. Televisions love it. Babies cry, mothers scream, fathers get worried. It’s a wonderful selling tool for the media, and, of course, the politicians come in on their white chargers to rescue us from this catastrophe, even though it might be a perceived catastrophe. So they look is if they’re saving us from a catastrophe, but as soon as it financially hurts, they will turn, and that’s been happening around the world. Politicians are turning. Benny: Do you think the change will come because of the economic costs to the policies, or because people are beginning to become more sceptical about the science? So we’ve had this looming catastrophe driven by the media, driven by people with their snouts in the trough, because it is a huge international business, frightening people witless, having wind, having solar, having batteries, having tidal. It’s a massive international business, and the politicians will quietly change their view, but it won’t happen overnight. It won’t happen quickly. It will happen when instead of having people my age die from fuel poverty … No one cares about someone my age. But if we have a prolonged blackout, and children die on an operating table, then we will be driving a political change, which will be quick. Benny: We had Tony Abbott here give the annual GWPF lecture recently, and he clearly has changed his mind, and has realised there is a growing problem with the policies, and he’s now quite outspoken. How strong do you think these views are among senior politicians, and does it have momentum? So Mr. Abbott is on the money. There are many people in the Liberal Party, his party, which is not liberal in the US sense. It’s conservative, although they’re not too conservative in Australia, are of that view, and we have had a few breakaway minor conservative parties of that view. We have, also, in our Labour Party, a number of people who share my view. However, the Labour Party is very tightly structured and unified, and they don’t break rank. So there is quite a political push I think from within to change the policies, but that will be driven by elections. It will be driven by electricity prices, and will be driven by catastrophes. Not climate catastrophes, but suddenly people losing their jobs. Benny: Last question. Do you see any realistic chance that there is a reassessment any time soon among politicians about the green agenda, about the climate agenda, about the policy agenda in Australia, or anywhere in the world, and what are the chances that commonsense will prevail? Ian: I would like to say yes. I’d like to live long enough to see this change. I’m not so sure I will, because throughout the western world, we’ve had a dumbing down of the education system. We’ve had a massive attack on western civilization, and the processes of logic, the processes of rationality, the use of history, the use of argument … Now you cannot mount an argument. You just get shouted down. So we’ve, I think, had a dumbing down of the education system, and we are reaping the rewards. The second reason is that we have an army of people in the bureaucracy, in the universities, in the schools, in the research institutes, in financial institutions, who are making their life and their money out of this myth, and those people, I think, have to go through the system and die before we’ll get a significant change. I think in 200 years time, people will look back and compare this to the South Sea bubble or the Dutch tulip mania, because that’s what it is. Benny: Ian, many thanks and good luck with your book. Could it be that contrary to what many suggest, Prime Minister Turnbull and some of his personally appointed acolytes; particularly Josh Frydenberg, Alan Finkel and Audrey Zibelman; might not have lost the plot? Could it be that they are actually carrying out a Plot? They are certainly not stupid, so is it entirely unreasonable to suggest that they know precisely what they are doing? If true, this could be a real worry. As regards being toast at the next election, if the present chaos surrounding climate policy is intended, it won’t matter to the PM et al, because by then the job will be done, rivers of gold will be flowing to the renewable energy producers at great cost to users, the plans will have been graven in stone and Australia’s energy policies will be beyond the point of no return for many years. Why could this be happening and how could Malcolm Turnbull fit into it? •	Third, Tony Abbott was Malcolm Turnbull’s greatest opponent against his Climate Change policies but on 14 September 2015, Turnbull challenged Abbott, ousted him and was sworn in as Prime Minister the following day. •	Fourth, the Australian Government under Turnbull’s leadership agreed the UN Framework Convention on Climate Change (UNFCCC) a few weeks later at the 21st Conference of the Parties (COP21) in Paris (30 November to 12 December 2015). •	Fifth, Malcolm Turnbull assembled his loyal team of Finkel, Frydenberg and Zibelman to manage his Climate Change policies. Joining the dots leads to an uncomfortable conclusion that does not bode well for Australia. Our inept, vacuous politicians dare not change…the outcry from the greenies and MSM would be endless. All pollies care about is their own popularity, and thus their reelection prospects. Hence the reason for the $50Billion spend on 12 submarines to be built in Sth Aus ( when the power is on ). $50Billion wasted, just so Christopher Pyne could help his prospects of reelection. That is not his money. It is mine and yours. Wasted! Politicians are a joke at best! Wal, we agree. But hammering these clowns starts with you. Bombard them with our posts and challenge them to reject the facts we lay out every day with a straight face, if they can. This is a battle for modern civilisation, no more, no less. Don’t let it pass with a whimper. Start screaming blue murder, until they listen. I recently finished reading this book. It was so informative and interesting. It confirmed everything I suspected was true about the climate change scam. I am just starting to read it all over again as the content contains so many facts that it is hard to remember them all. It should be required reading in secondary school. But can you imagine the apoplexy among the wind/faux-green cult if kids were exposed to reality instead of feel-good propaganda! If Mr Pilmer has a $3000+ qtrly electricity bill perhaps he should set aside some time looking at some internal efficiencies? You clearly don’t live in SA! SA consumer costs are not 2-3 times VIC, its a nonsense. If I have a $3000 qtrly bill , I’d be looking at what I was doing before throwing stones. Probably not a good idea for you to be throwing stones from inside a candle-lit shanty. In SA, since July last year, $2,000 per quarter for a large family home using (and we mean actually running) reverse cycle air-conditioning for heating and cooling is not uncommon (we’ve seen plenty of them from SA followers). Ian Plimer, who lives in Adelaide, gave the figure and we have no reason to doubt it. Why not tell us where you live and in what circumstances, show us your last power bill and allow our followers to make a comparison – instead of scoffing at facts you have no way of disproving, apart from indignant assertion. Oh, and if you’re in Victoria (which we can only assume) your turn is coming, your Labor govt is obsessed with subsidised wind, has banned even conventional gas extraction onshore and wants to ‘kill’ coal. We suggest you stock up on candles and get ready for a whopping SA sized power bill. I guess this then gives the lie to the price tables that get trotted out here then comparing countries and States? While all Oz States and the renewable fanboys in EU are high cost location , they are all roughly roughly comparable. My situation? sure. We are in a 3 bedroom house in regional VIC. Our power bill annually is covered by $130 a month which I bpay into the power company account, so $1560 annually. The house is well insulated, and has 3 reverse cycle A/Cs although rarely used simulatneously. Contrary to your comments I am not scoffing. Those are my facts. If someone is paying more than that qtrly, and the tables you publish here are also facts , then I have trouble believing the anectdote as a general indicator of real costs experienced by the customer base. JoNova had a funny phrase for it recently, cherry picked truthisms. Well aware of the VIC situation, I was recently in an email exchange with D’Ambrosio (or rather some of her flunkies, I dont think she can hold a real conversation on this topic). I asked her where renewables ever put “downward pressure” on costs anywhere on the planet. Never did get a clear , non evasive answer. My local community is going through the micro grid exercise. Personally I have set myself up with a generator and had my wiring arranged to simplify its use for the house. I have zero faith that we will enjoy the reliability that we once took for granted. You seem to want to rabidly defend anything that goes slightly of narrative in your blog, as is your right I suppose. If you only want happy clappy one sided responses then I will note that and return to just being a sometime reader. We accept what Ian Plimer said about his power bill. Nothing rabid about that. So your power bill is defrayed by a micro grid? Which we assume connects your solar panels and your generator? And we assume it’s only a 2 person household. Hardly the average circumstance, solar panels, generators and being hooked up to micro grids. We like to compare apples with apples. No that was a separate pargraph , separate topic. The microgrid is just a gleam in the eye of a couple of ex consultants who , I suspect , are just looking to do the usual subsidy farming. The first step is a two hundred thousand dollar govt funded feasability study. With only a couple of hundred households in the area I am expecting wine and a cheese platter with my questionnaire. The generator is standby only and has yet to fire a shot in anger beyond testing (today with 40C+ in SA and VIC may change that). I never claimed to be the average circumstance , those are your words. I was trying to rationalise a quarterly bill that is roughly double our annual bil , used as a point railing against the system. It just leapt out at me as I am guessing the writer and I are at similar life stages. I also accept what Mr Pilmer said about his bill, that wasnt the substance of my comment. I guess its always your mileage may vary, and may simply be an example of two ends of the spectrum of possibilities. Our place is not very old and we overkilled everything to do with energy ratings, we did the same thing with our last (very old) place within the limits of practicality. Some levers are under our own control. Anyway I wish you well in your campaign against some of the most stupid and damaging energy technology man has conjured up. And all because of this infatuation with CO2 (carbon dioxide). This gas is measured in parts per MILLION and is present in our atmosphere in percentage terms of 0.04% !!! Boy! is this gas powerful ! To be present in such a tiny amount and able to CONTROL our climate ! You have to give it to it – coming tops when water vapour is 95% of our atmosphere !!! !